Great times at Anna & Tyler's house! Old friends, new friends, dog friends & fab homemade pizza on the grill. Awesome! 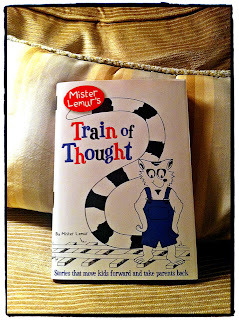 Thanks for introducing me to Mister Lemur! Hans wrote Train of Thought & Jen did the illustrations. It's such an entertaining & insightful children's book. You guys are so talented!